Within Logistics and Supply Chain Management, it is of the upmost importance that you are constantly innovating to meet the complexities and challenges of customer demands, which can be an incredibly time consuming and daunting task. One way to make it easier? Logistics and Supply Chain podcasts! Podcasts are a great way for you to gain insights from industry peers about the latest trends, their successes and the lessons they’ve learned when things haven’t gone their way. You can tune in on your daily commute to work, while you’re out for a run, even just while you’re fixing dinner. We have rounded up the top podcasts from industry insiders and leaders from supply chain management, procurement, and more so you can gain a deeper insight of your industry without having to put in any overtime. Adrian Gonzalez, host and founder of Talking Logistics, interviews thought leaders from supply chain and logistics to explore emerging trends, technologies, and services. These featured guests range from supply chain executives, employees of leading companies and some of the smartest professors in academia. This podcast is easy to follow because it flows like a conversation so don’t worry about feeling lost when listening in. Talking Logistics offers you an interactive and engaging platform to learn about the latest within logistics and supply chain management. Find this Podcast on iTunes, PlayerFM or directly from the Talking Logistics website. The Inbound Logistics Podcast has been created by the leading magazine, Inbound Logistics. This podcast presents the most relevant and topical information about the world of third-party logistics and supply chain management, presented by the most influential members within the logistics community. Each episode offers you something different, as each episode features a new special guest who talks about some of the latest trends that are affecting your industry. The Inbound Logistics Podcast can be found on the Inbound Logistics website. This Logistics Podcast is brought to you by SHD Logistics Magazine and discusses the key challenges and opportunities that your industry is facing through interviews with a number of experts. Each episode aims to tell a story of key developments within logistics that are becoming more visible and critical to business success every day. This podcast is aimed at warehouse managers, heads of operations and logistics directors within several industries including retail, manufacturing and 3rd party logistics. Find The Logistics Podcast on your favourite podcasting platform such as Spotify, iTunes, PlayerFM or directly from SHD Logistics News. Cranfield University’s School of Management is using their 50 years of experience in educating some of the top business leaders to create one of the most informative logistics podcasts out there. This podcast provides an introductory course to the whole industry from an international view point with guests sourced from advanced teaching and research in the field of logistics, supply chain management and transportation management. You can find this podcast on iTunes and Player FM. Bob Bowman, managing editor of Supply Chain Brain, brings you an in-depth look at every element of supply chain management and international trade with the help of industry peers, academics and experts. This podcast is all you need to keep up with the latest industry news and insights that will keep you on top. Stream or download Supply Chain Brain on their website. The Freight Project Podcast is put on by shipping experts Cerasis to bring you expert voices in supply chain, logistics, transportation and freight so you can learn about technologies for every link of the supply chain. This podcast brings you ideas from top industry professionals so you can learn from their experience. Listen to The Freight Project Podcast on iTunes, Spotify, SoundCloud, and on Cerasis’ website. Logistically Speaking reacts to the latest developments in logistics, technology and eCommerce. The members of the Logistically Speaking team come from a diverse logistic background and this allows them to accurately analyse current events in an ever-evolving industry. Listen to Logistically Speaking on Podchaser, PlayerFM, or directly on their site. In this podcast you’ll find conversations with people in the industry covering everything from warehouse management to employing the next generation of leaders. The Straight Talk podcast addresses real, everyday problems and hurdles faced by logistics businesses. This podcast is brought to you by Supply Chain Insights, one of the leaders in supply chain thought leadership. Listen to Straight Talks on iTunes, PlayerFM and directly from Supply Chain Insights. Now there’s no excuse for you to not be up-to-date with the latest logistics and supply chain industry news! Discover best practices, pitfalls to avoid, new technologies, industry insights and more with these top podcasts. Looking for more recommendations to stay connected with the latest in logistics and supply chain? 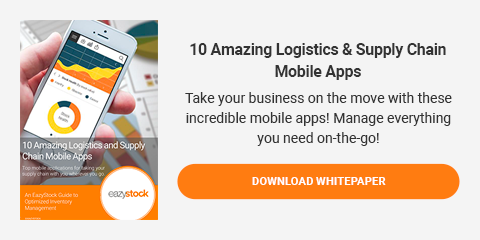 Check out the top mobile apps for logistics and supply chain management on-the-go!